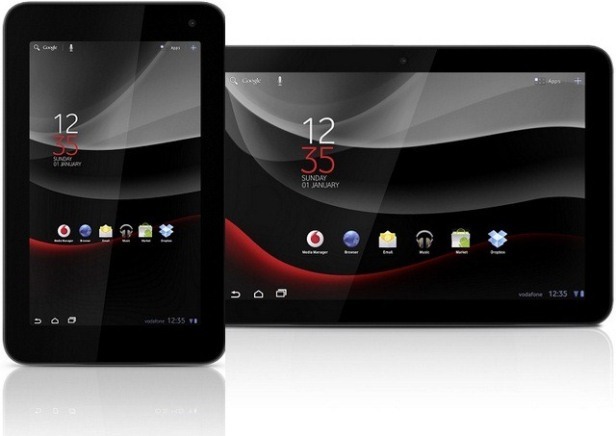 Having been launched in February 2012, the Vodafone Smart Tab 10 is one of the most craved tablets from the series launched by Vodafone. It is definitely not a bad-looking device and being one of the thinnest ones, it focuses on being practical and easy to use. Although being HDMI capable, the Smart Tab doesn’t come with an HDMI cable of its own, so you will need to buy one in case you’re planning to transfer image from it onto a bigger screen. This high quality tablet can sometimes stop working the same as it did before. Since 2012 and until nowadays, you probably stored a lot of information on it and used the device for various purposes. All of these are degrading the state of the Vodafone Smart Tab and are the reason why you should think about performing a master reset. Using an impressive TFT capacitive touchscreen attached with multi-touch, its display allows up to 10 fingers giving commands at the same time. The tablet running on Android has two average cameras: a 5 MP camera and a 2 MP one. It can also store up to 12 GB of data internally and up to 32 GB more on its micro SD card. Some of the many applications available on this tablet are Youtube, Picasa, Calendar, Voice Memo, Predictive text input, etc. If you are the proud owner of a Vodafone Smart Tab 10 and decided to perform a hard reset on the tablet, you should first make a recent backup of all the files you’d like to save. As it happens with most smart devices in the world, when the tablet is restored, all data is lost. On your Home Screen, tap on the Settings icon and choose Privacy settings. Choose the Factory Data Reset option and confirm, then wait for the procedure to begin. Your phone will now be rebooting and wiping all data; don’t interrupt at any time. Turn your tablet off and charge the battery to at least 70%. Press Volume Down & Power then wait for the recovery screen to pop up. From the list choose Factory Reset using volume keys and confirm with Power. Choose Yes from the list with the same buttons and confirm as before. The tablet will now reboot; follow any instructions on the screen.